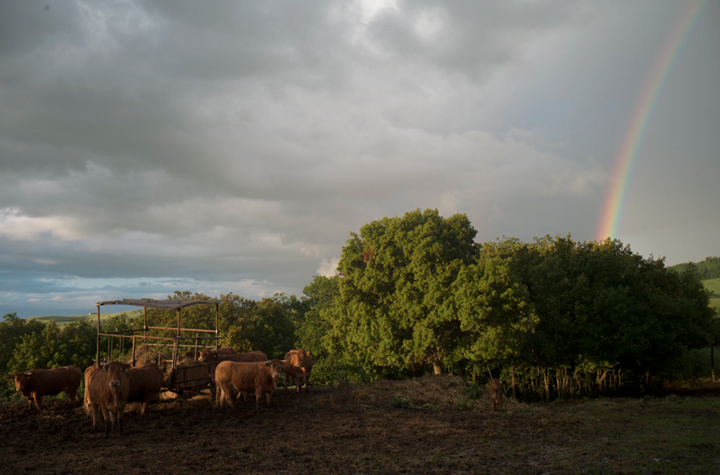 In Tuscany we live on a working farm, and now (2015) we have been here for a whole year, but back when this ‘every day for a year’ series was begun we were there for only 6 months. We became part of the small community formed by Silvia and Vincenzo, a mid 40’s couple who work the land in the old spirit of the contadini’s of the era of padrones, when the system was not too far removed from the serfdom of the middle ages. There are a few other people right nearby who form this little enclave of about a dozen of us, of which we are the stranieri, outsiders. Silvia was making pizza in their wood fired outdoor oven, a relic of the 18th century when their house was built.To see them work the oven and how easily they move as a team, including their 10 year old son Giuseppe, who ladled the sauces on each pizza, was a gift, as was the pleasure of devouring the pizzas afterward. All the sauces and meats and cheese came from their farm, and I cannot tell you how sweet and true the flavors were. This image is merely a description of one step of the process. The cows below sometimes make their way into the pizza too. 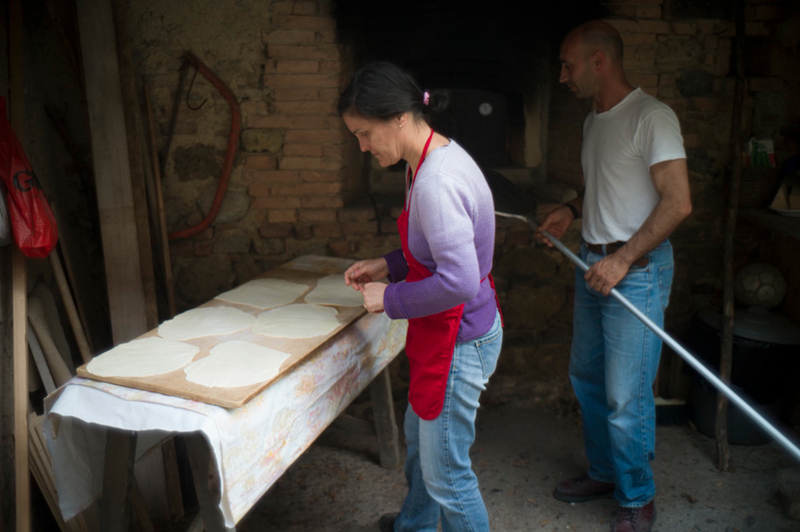 This entry was posted in Italy, Pizza, Tuscany and tagged Farm life, Making Pizza, Tuscany on May 5, 2015 by joelmeyerowitz2014.